I looked at the binoculars on the chair in my room and almost grabbed them. I don’t have room in my suitcase I thought. And when am I going to have time to look at birds anyway? Great Blue Heron in the distance. Would have been nice to have binoculars, no? I know. What kind of birder leaves without his or her binoculars? Well, this one does. I was right about not having any time to go birding except for the day I was leaving. 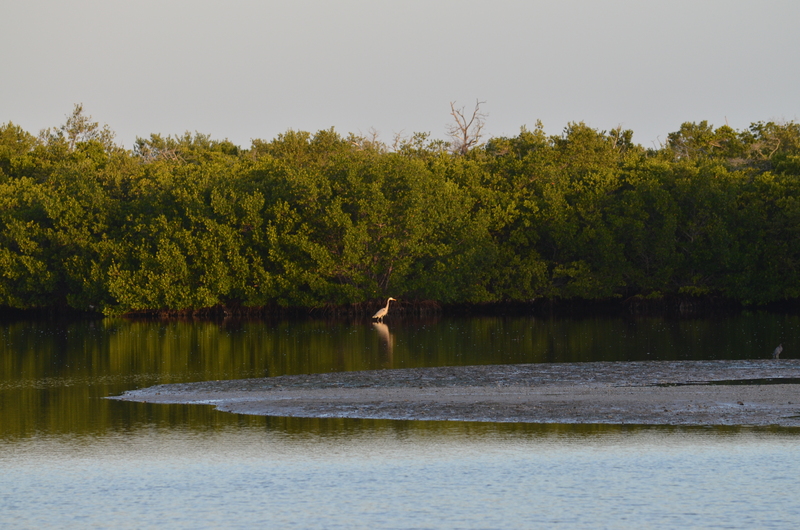 I had a few hours in the morning to visit J. N. Ding Darling National Wildlife Refuge, which is on Sanibel Island and only a 20 minute drive from where I was staying on Captiva Island. 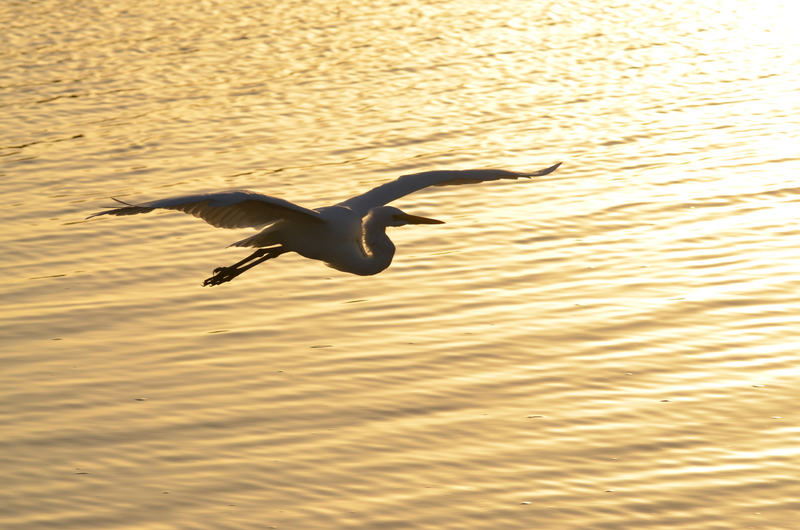 An American Egret slowly and elegantly walks through the water as the sun is rising. As expected, there were birders with camera lenses the size of missile launchers already queued up in front of egrets and herons that appeared unafraid of us all. This is the first time I have ever been birding without Steve, the real birder in this marriage, though I suspected it wasn’t going to be too hard. The birds were everywhere. 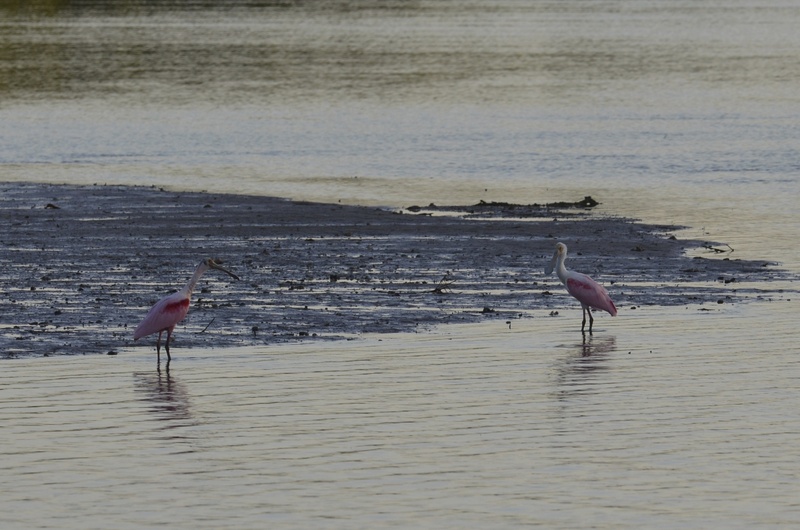 “There’s a pair of Roseate Spoonbills out there,” he answered, too kind to roll his eyes at me because it really was quite obvious. A couple miles down the road I spotted something new. Because I’m the Accidental Birder it’s rather impossible for me to I.D. 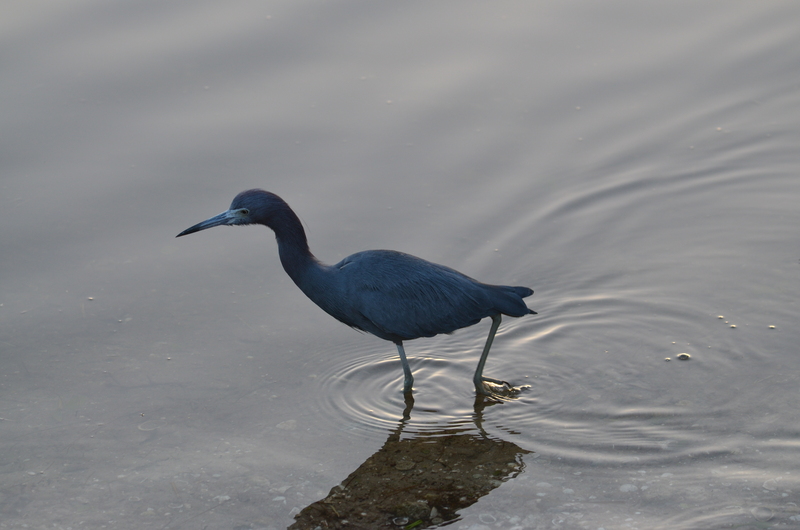 a bird that I’d never seen before, but I had just seen at the wooden observation tower a list of birds and, by golly, I think…I think it’s…yes…it’s a Reddish Egret! 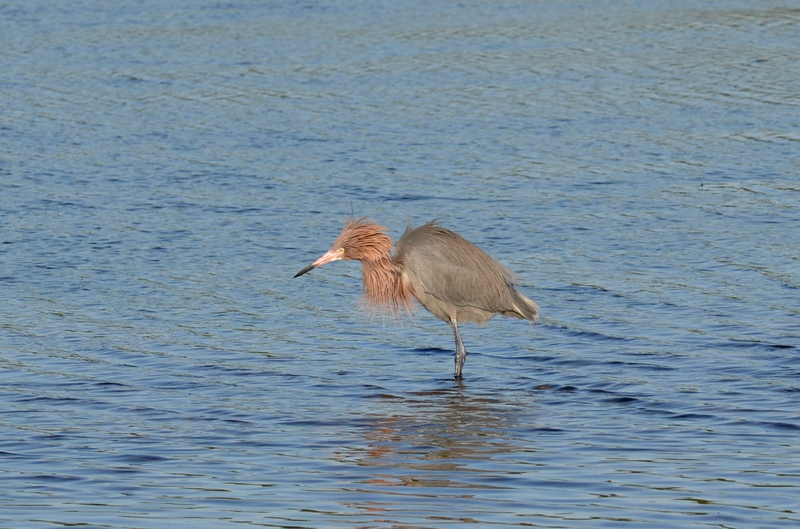 Reddish Egret. Hello, new guy! Not only did I I.D. this guy on my own, but it’s a lifer for me! Two hours. That’s how long I spent here. I could have spent longer if I didn’t have a plane to catch. And next time? I’ll be packing binoculars. Here’s a gallery of more birds from this morning at J. N. Ding Darling National Wildlife Refuge. Click on any of the photos below and it will enlarge for your viewing pleasure. They should all end like this. 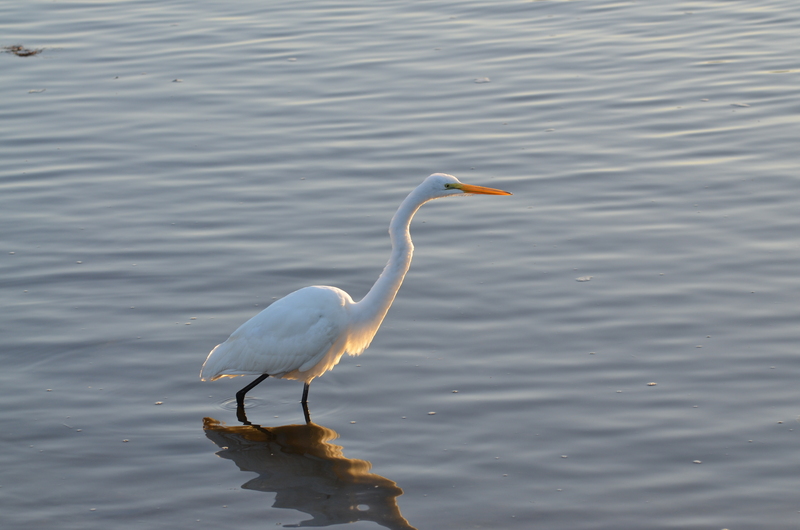 Yes, you’re right–Great Egret is now the official name. (My husband still refers to it as the American Egret, probably because he’s Canadian. 😉 ) It’s also known as “Common Egret,” “Large Egret,” “White Egret,” “Great White Egret,” and “Great White Heron.” Kind of like musicians, John Mellencamp, and P Diddy. They change their names a lot. 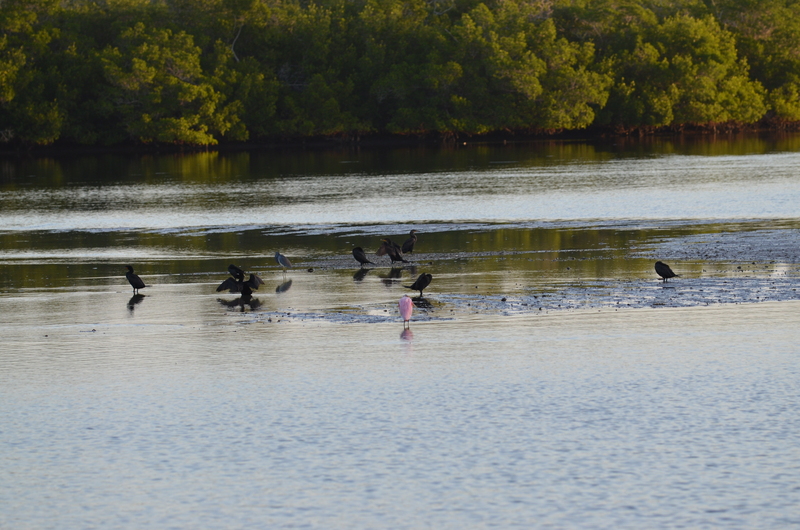 I love Roseate Spoonbills too. I hope see more and get better photos. We’re planning a trip to the Everglades and I think I’ll have a better opportunity there. I think they’re cute. I have done that myself. It’s almost like a guarantee that if you don’t take binocs, you’re bound to see something really cool. So, now I have super-lightweight binocs that stay in my backpack and go wherever I go. Wow. Great pics…..at least you had your camera with you! I always take my bins with me, even if it’s a family visit to southern Ontario. And like eweislogel, I too would wear my binoculars 24/7 if I could. I once put them on at a bus station because I saw some distant crows dive-bombing something on a snow-covered hill. It turned out to be a Snowy Owl on a hill that used to be part of a landfill before they turned it into a park. Right in the middle of the city! Thanks Gillian! You’ve now convinced me to at least take along my little binoculars. Maybe one day our smart phones will also be binoculars. Wouldn’t that be cool? Oh, the egret (?) in flight over the water is stunning. Great photo! Yes! always bring the binocs, especially when you’re holed up in meetings but might have a chance for a fresh air, and especially in a place like that! Next time! (But you got great photos and I know you had fun at Ding Darling).